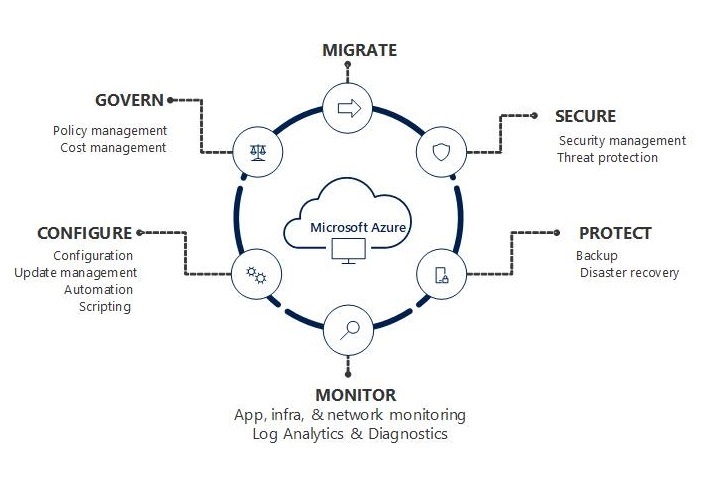 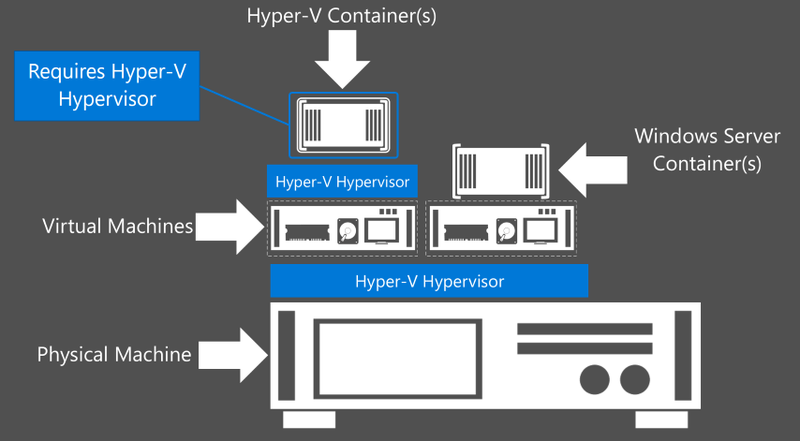 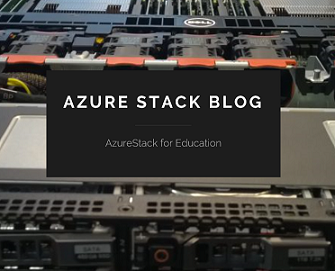 Categories: Azure, Azure Stack, CPS, Microsoft Azure, Windows Server 2012, Windows Server 2012 R2, WindowsAzure | Tags: ActiveDirectory, AD, Administrators, ITPRO, Microsoft, Tool | Permalink. 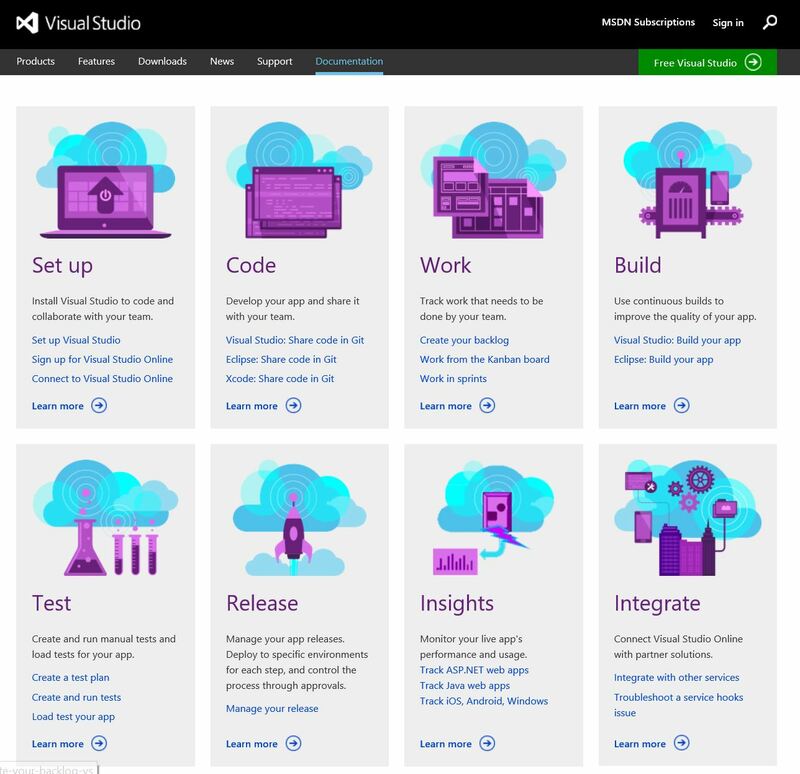 Categories: Azure, Azure Stack, Microsoft Azure, Office365, OMS, Sharepoint, WindowsAzure, WindowsAzurePack | Tags: Analyzer, Azure, AzureWebsites, Developer, DevOps, Fiddler4, ITPRO, MVPBUZZ, Office365, Sharepoint, WebDebugger | Permalink. 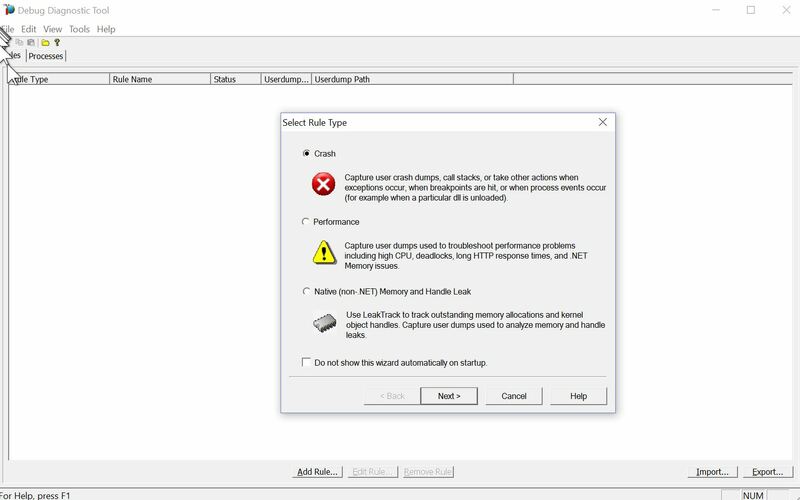 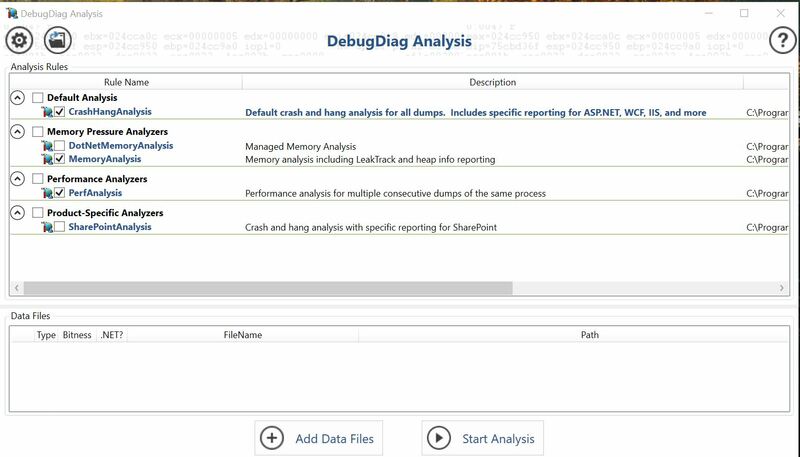 The Debug Diagnostic Tool (DebugDiag) is designed to assist in troubleshooting issues such as hangs, slow performance, memory leaks or memory fragmentation, and crashes in any user-mode process. 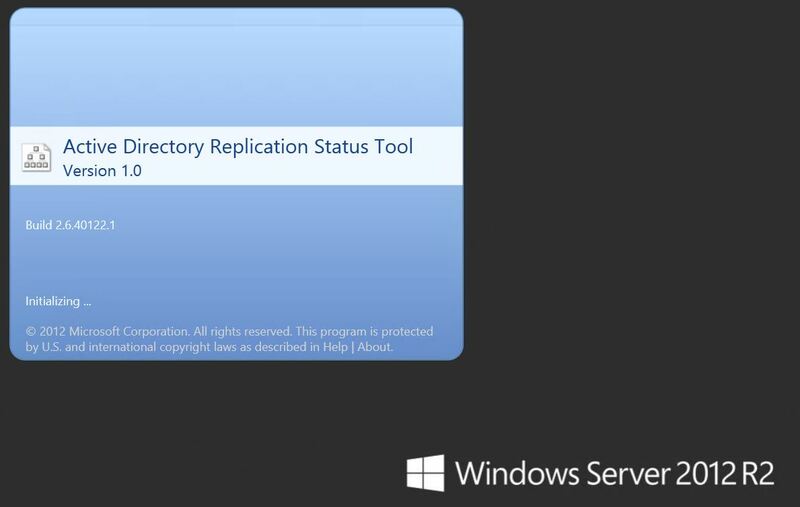 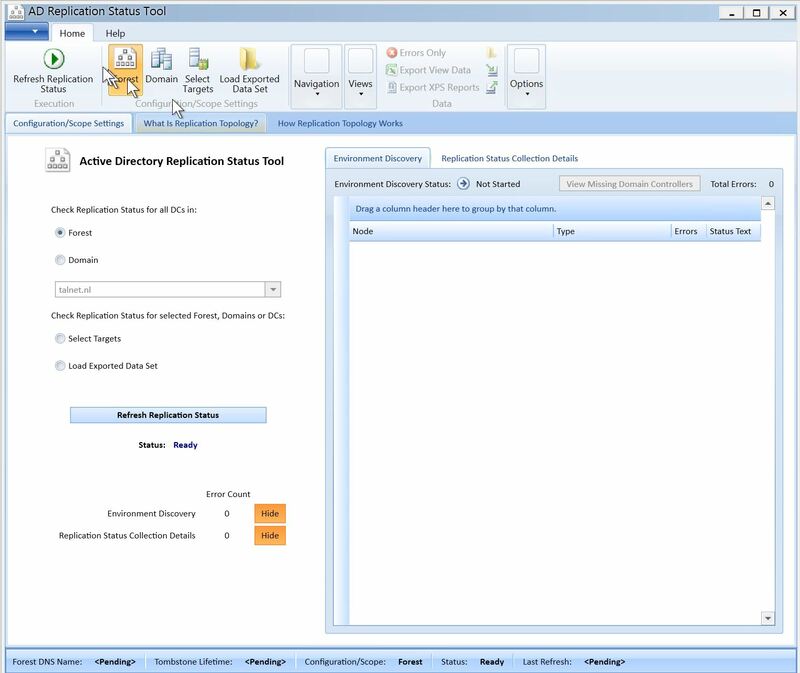 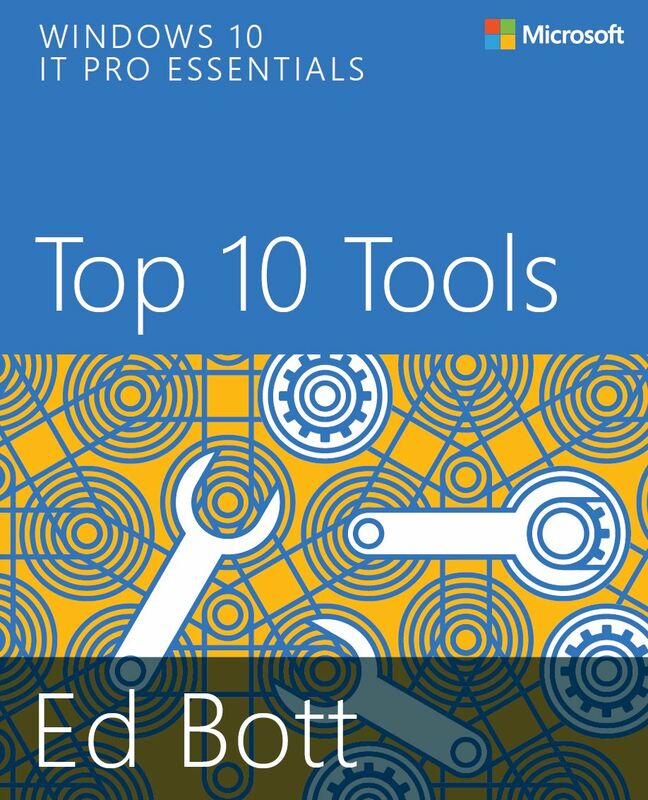 The tool includes built-in analysis rules focused on Internet Information Services (IIS) applications, web data access components, COM+, SharePoint and related Microsoft technologies. 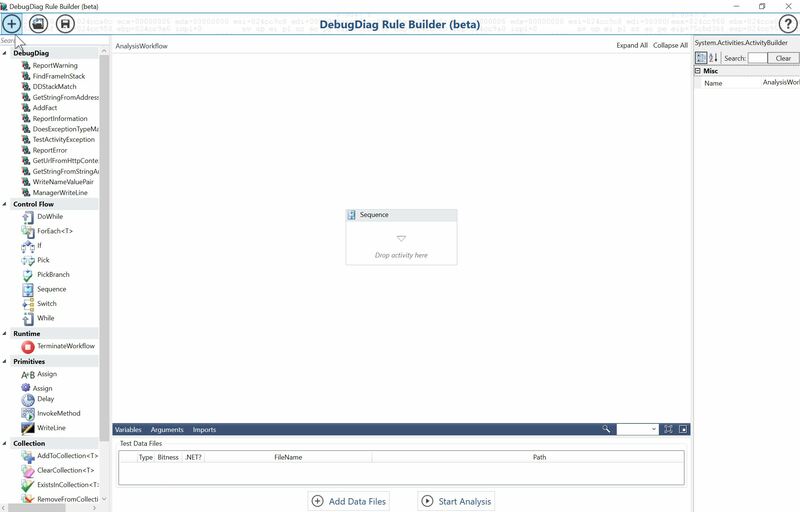 Debugdiag 2.0 introduces a new analysis engine host with built-in reporting framework that can be accessed from .NET. 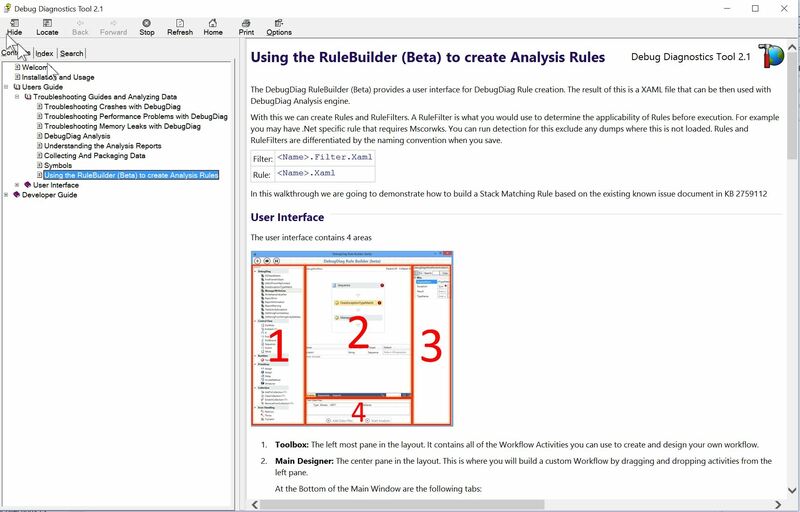 This new analysis engine simplifies analysis rule development in .NET. 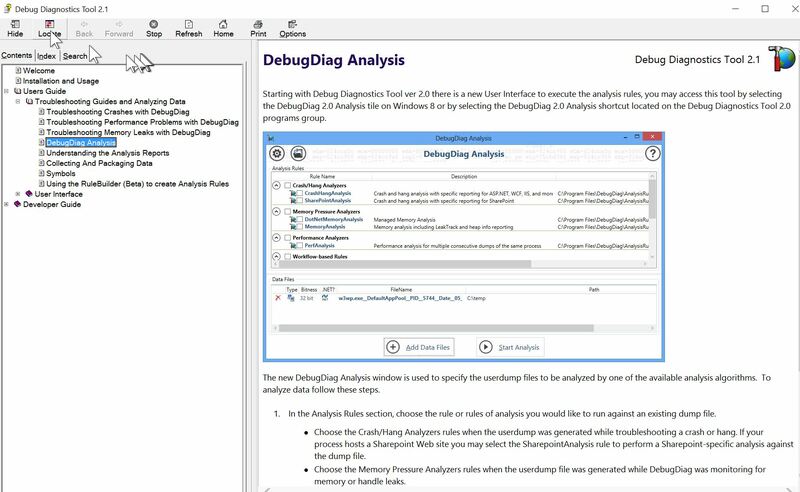 Starting with Debugdiag 2.0, the analysis engine relies on Microsoft.Diagnostics.Runtime for .NET analysis. 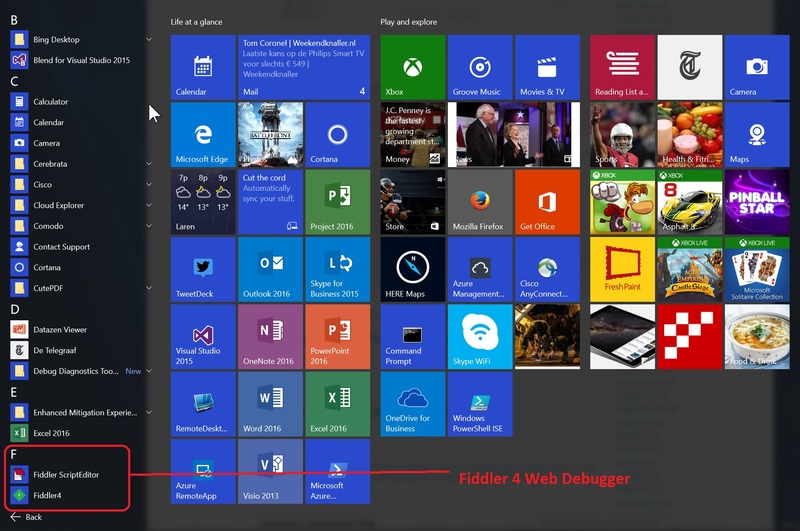 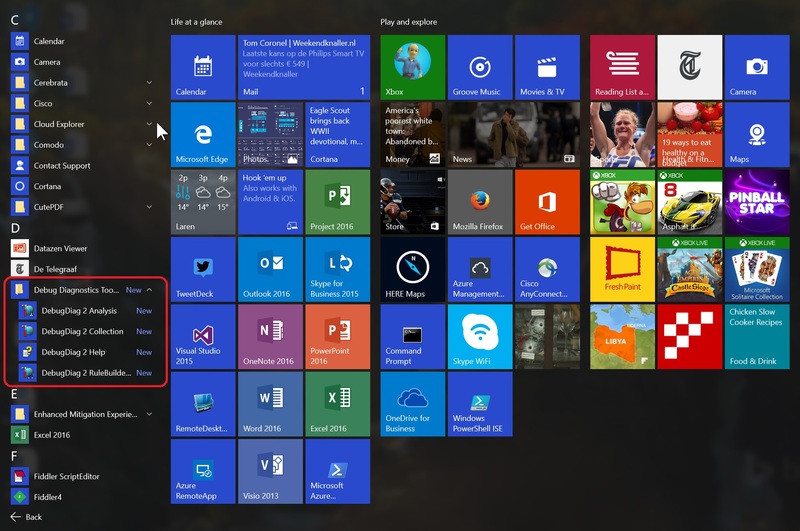 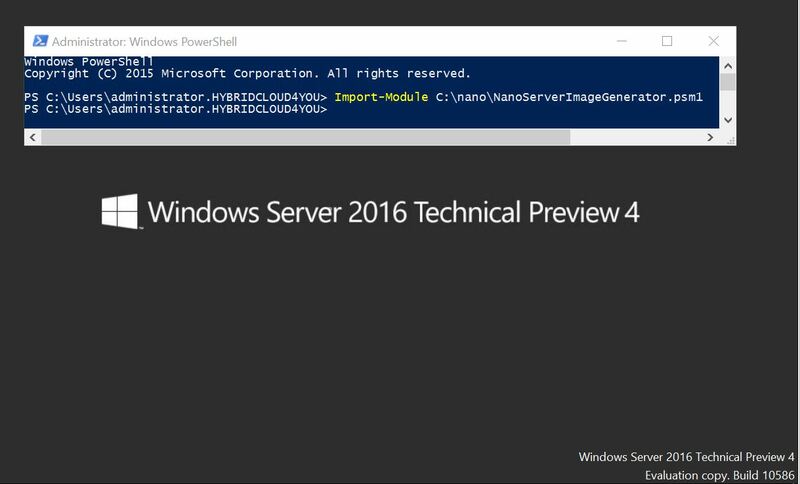 Categories: Azure, Windows 10, Windows 8, Windows Server 2012, Windows Server 2012 R2, Windows Server 2016, WindowsAzure | Tags: Debug, DebugDiagTool, Developers, DevOps, ITPRO, MVPBUZZ, Windows | Permalink.